Some string to hang the balloon from so you can work all the way around it. Partially cover the balloon to get this type of shade! This process is quite like papier mache. 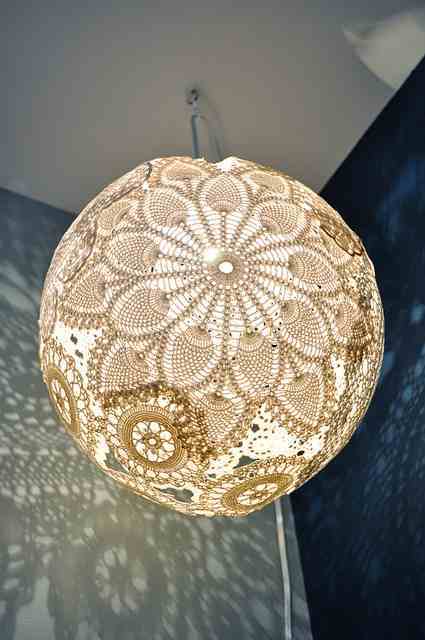 First you blow up a balloon to just under the size you want your shade to be, allowing for the thickness of the doilies. Then you hang the balloon with a piece of string so that you can cover the entire surface - leaving an opening at the top for your light fixture. Mix up some of your adhesive in a mixing bowl with some water. Get your paint brush and start coating the doilies with the diluted adhesive - if you think the adhesive is to watery once diluted then simply add more of the powder. Once all the doilies are coated you can begin placing them onto the balloon ( It helps to have another person on hand to hold the balloon steady while you are working on it ). 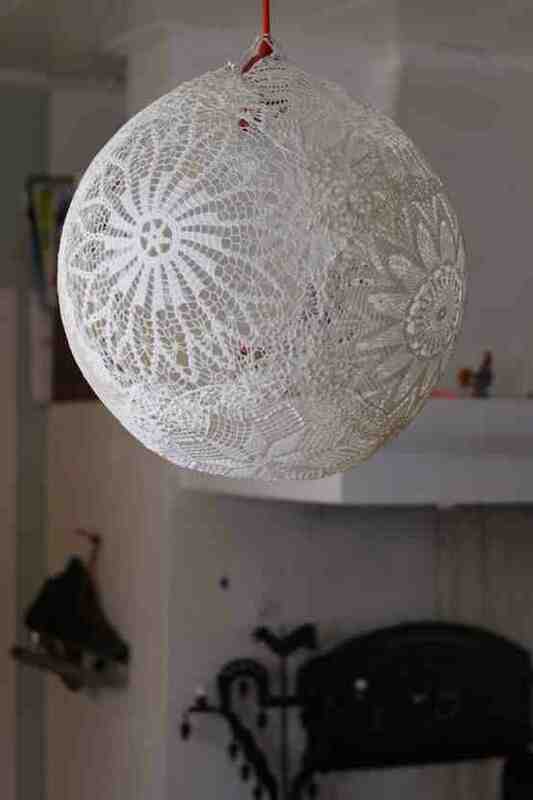 Let the doilies overlap each other a little on the balloon. Once the balloon is covered with the doilies give them all another coat of adhesive just to be sure it all sticks together. Leave it for at least 24 hours to dry and then check it, if it is still damp leave it for longer. 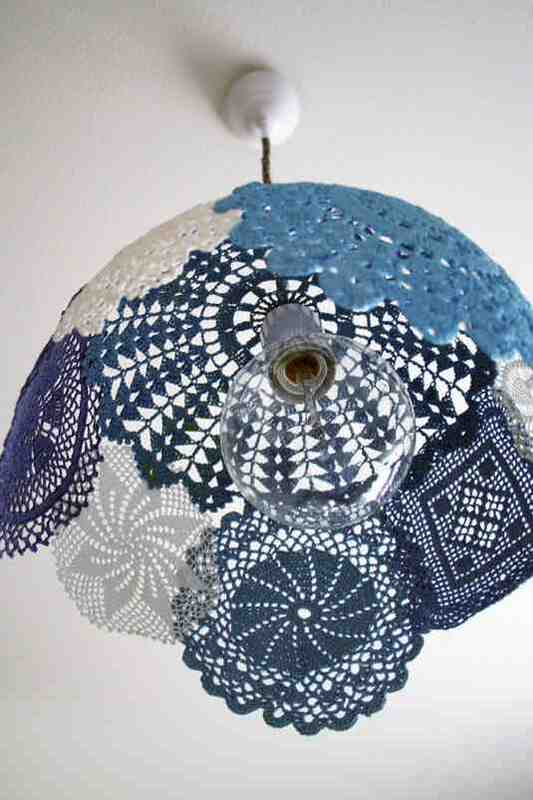 Once completely dry you can pop the balloon inside and you are left with a beautiful lampshade or even just a gorgeous decoration! 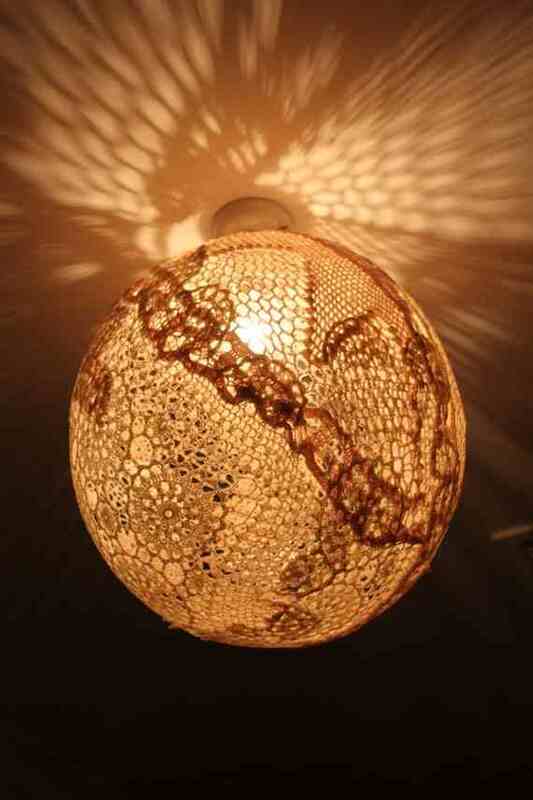 Make sure your shade is large enough so that it won't come into direct contact with your light bulb when in place, low energy bulbs are the best to use with this design.